Turner’s Vision is inspired by the evocative and expressive marine landscapes by J M W Turner. This Collection is expressed by melange, twisted textures in luxurious natural fibres played out in a comforting palette of brown, deep navy, earthy olive and tan peppered with warming cinnamon, ochre, mulberry, slate blue and taupe. 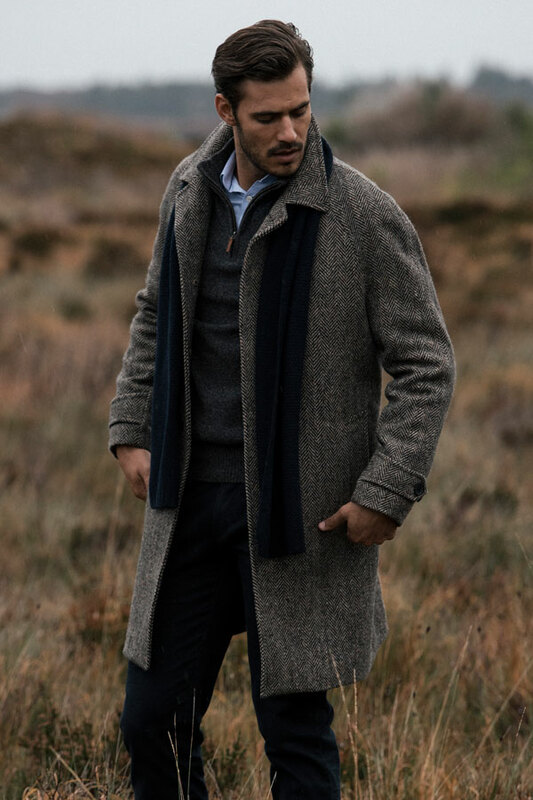 Key pieces feature stunning 3-piece suits, sumptuous broad herringbone overcoats and chunky Donegal fleck knitwear, offset against luxurious needlecord casual trousers and classic multi-tonal check shirts. 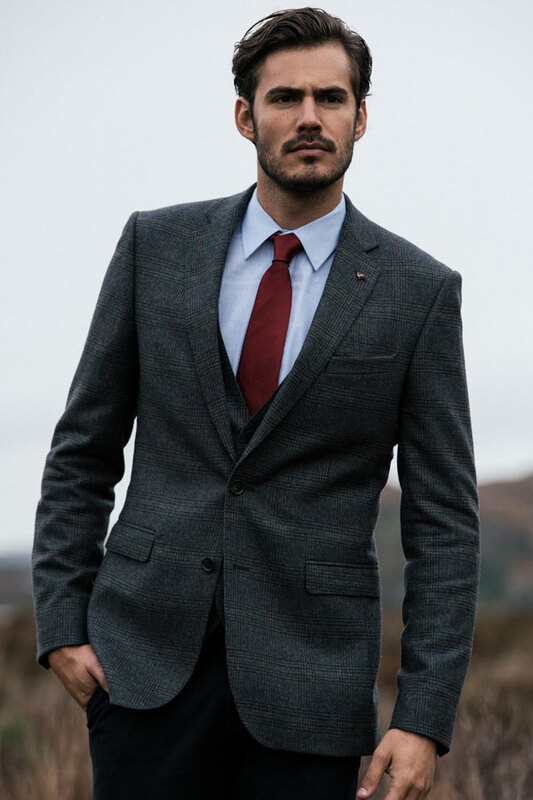 The fabric is a timeless camel-grey herringbone tweed flecked with hints of colour, designed and woven in our mill in Donegal. Styled with a charcoal lambswool ¼ zip sweater, blue shirt and navy cotton chinos. 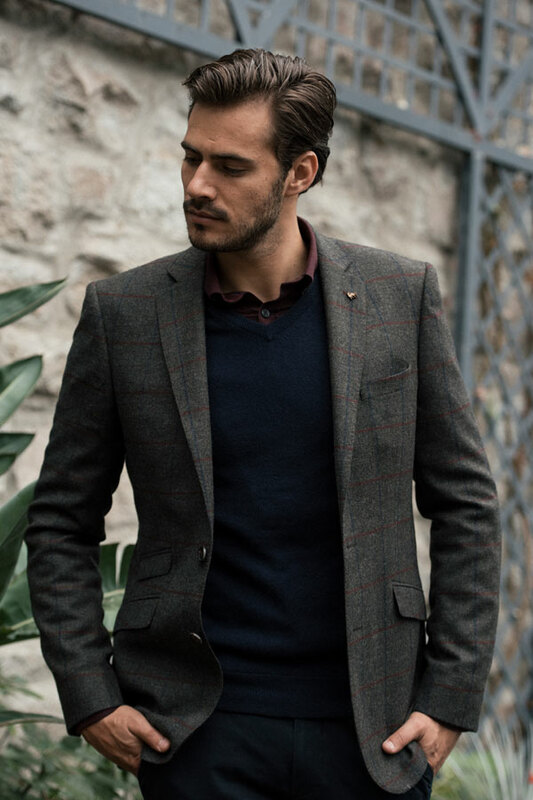 A rich chocolate brown faux-suede jacket featuring modern square quilting and patch pockets Styled with a check shirt, lambswool ¼ zip sweater and chinos. 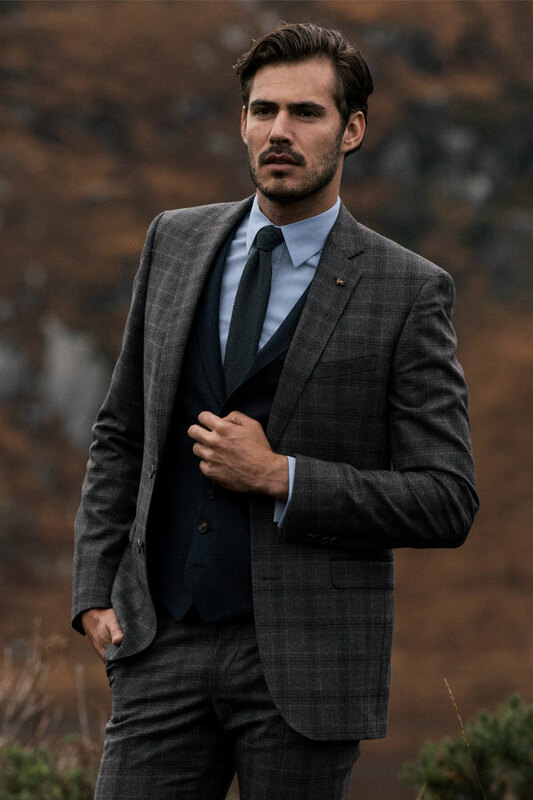 The jacket and trouser fabric is a luxurious brown and blue check wool with a navy-blue flannel wool waistcoat. Styled with a subtle blue striped shirt and blue knit tie. 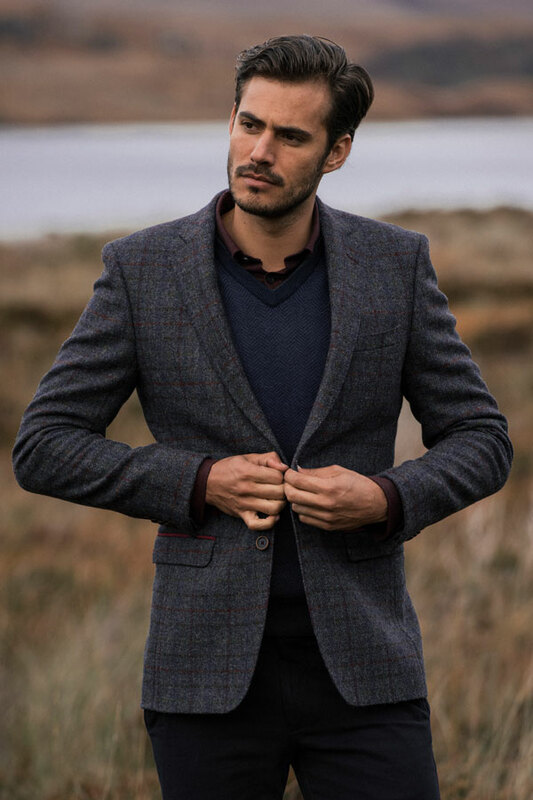 The fabric is a cashmere blend featuring a rich green Glen check with rich tones of burgundy, navy and burnt ochre. 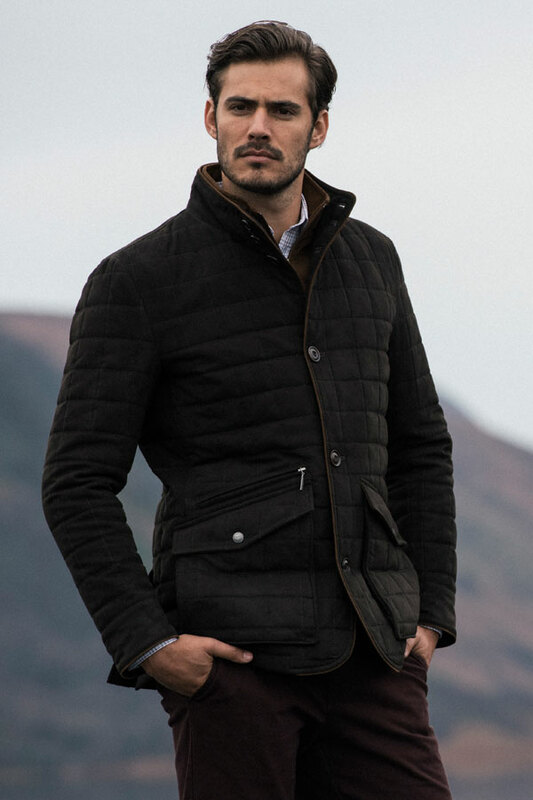 Designed and woven in our mill in Donegal. Styled with a blue micro-design shirt and burgundy silk tie. The fabric is a lightweight wool designed and woven in Donegal featuring a dark green base crossed with a blue and red overcheck. Styled with a burgundy flannel shirt and navy lambswool V-neck. 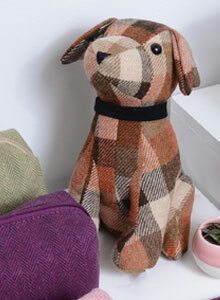 The fabric is a colourful Shetland wool, featuring a burgundy, navy, rust and green check. 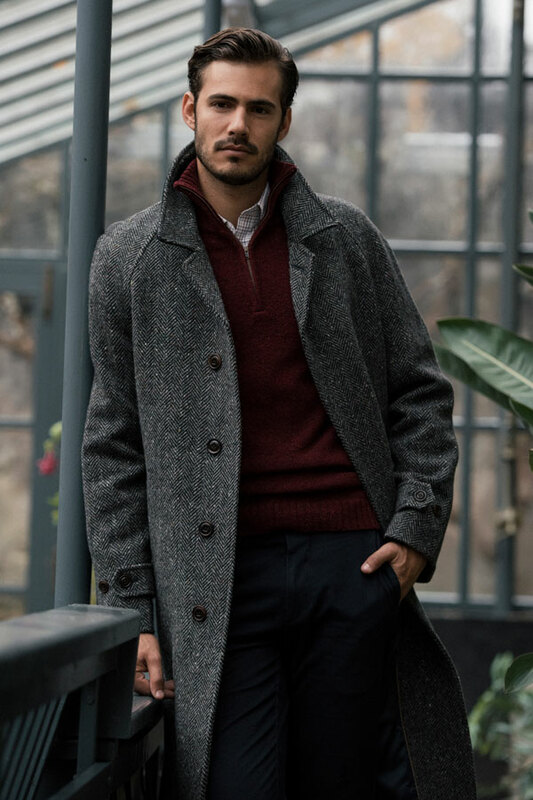 Styled with a blue cotton V-neck sweater and burgundy flannel shirt. 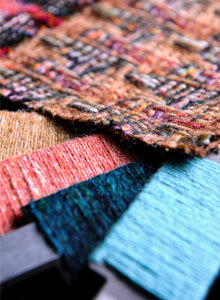 The fabric is a beautiful green salt and pepper – the ‘true Donegal tweed’. 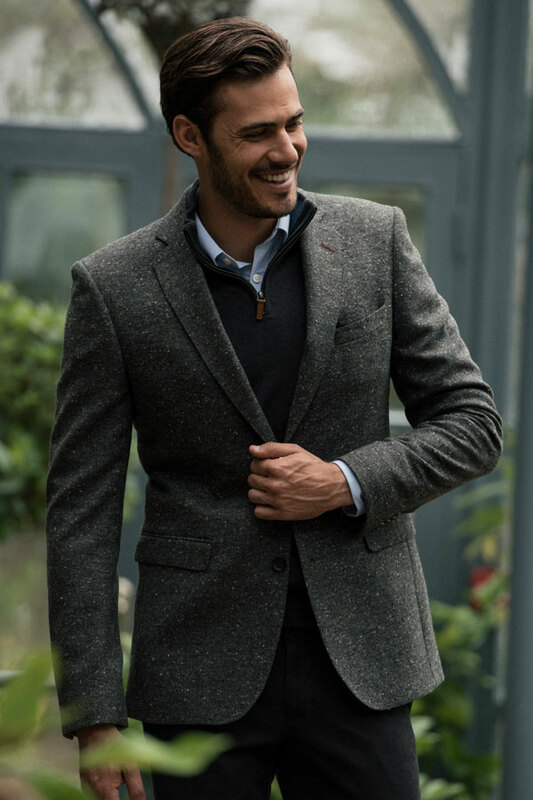 Styled with a navy blue lambswool ¼ zip sweater, blue shirt and charcoal-blue needle cord chinos.